Looking sharp for the photographer! 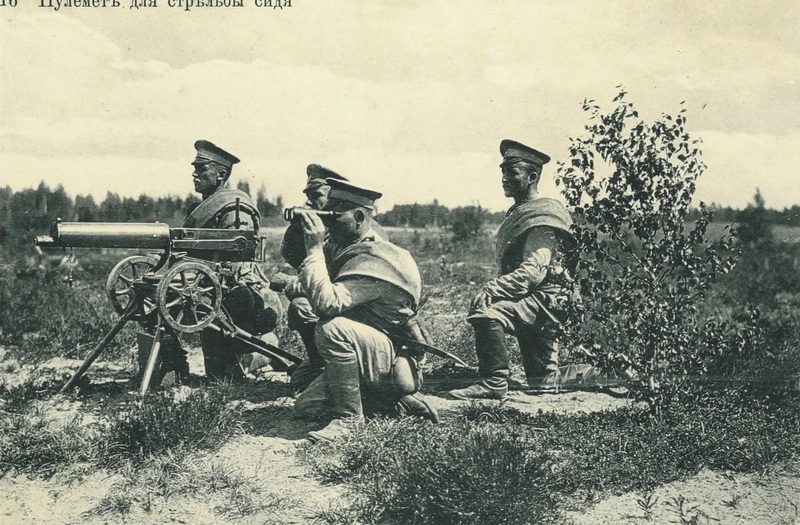 Imperial Russian gun crew with a 1905 Maxim on an early Sokolov tripod mount. These guys are likely not going to survive the Reds. I know it’s generally a bad idea to charge a machine gun, but where are the crew’s personal weapons? I see bayonets but no rifles… Or just shoot Hans with your Nagant revolver!!! Those are Kindjals. The Russians never issued knife-bladed bayonets for the Mosin-Nagant, nor did they issue scabbards for the bayonets that they did issue. Oops. Thanks for the correction. But I ask the following: What would happen once members of the other team got within spitting distance while your assistant was changing the ammo belts? Would you resort to the kindjal or fisticuffs or just shoot them with your sidearm, assuming you had one? I suspect you know this, but at least some military versions of the Kindjal had two rings into which a Mosin spike bayonet could be inserted. It was traditionally an arm of mounted forces, Cossacks and what not, not of dismounted troops. Lord alone knows what Tsar’s Regulations prescribed for sidearms for MG elements. Actually, someone who reads this probably knows in great detail — that’s the way this site is. In the 1980s, the Russians dumped the kindjals on the market and the German company Waffen Frankonia got a huge quantity of them. They could be had for <$100 and it never seemed that important to pick one up while i was living there. A couple of years ago, I went looking for one and the prices were eye-popping. There are even repros now. Kindjals, well you learn something everyday as they say. To be fair, there are plenty of shots from other nations’ armies, including British units and the first US machine gun companies with their Colt potato-diggers and 1905 Maxims, showing them set up in the open like that. Getting serious about cover and concealment of MG positions started happening with the Russo-Japanese War (there weren’t enough MGs in previous wars like the Boer War, or enough counterfire in various colonial wars with Gatlings and early Maxims). 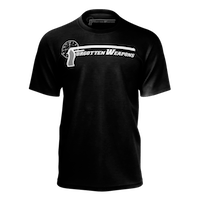 Even as late as the opening phases of World War One, field artillery was still setting up “in the open” to deliver direct fire over open sights in the time-honored manner. The belief being that modern “quick-firing” guns like the French M1897 75mm could shatter infantry and cavalry assaults with airburst shrapnel or canister much as Union artillery had in the American Civil War a half-century earlier. Machine guns were seen mainly as flank protection for the QF guns, and as the equivalent of massed rifle fire against infantry assault (see; Plevna). It was an article of faith among “career officers” at the time that while machine guns might blow apart infantry formations assaulting their positions, they would be overrun by a cavalry charge in the best Crimean tradition. If you mentioned Balaclava, they’d point out that the hussars took the gun position, even though they didn’t manage to hold it. The result of this was that field emplacement of artillery and MGs was based on the idea of “mobility”- dashing in to fire a few rounds or belts in direct fire to break up one enemy group, then dashing off to repeat the performance elsewhere. “Digging in” was considered to slow the process, encourage “defensive” rather than “offensive” thinking, and besides it wasn’t quite sporting. 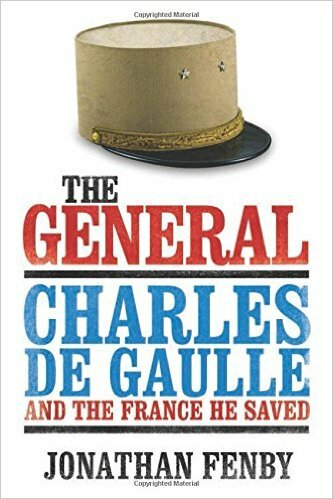 It’s interesting to note that MG doctrines laid don by the actual MG troops did not envision being overrun by cavalry charges. I suspect because the gunners had made note of the fact that while a man on horseback moved about three times as fast as a man on foot in battle maneuvers, he and the horse formed a much bigger target that was easier to hit at range. The only ones who were right about much of anything were the machine gunners. Anybody who got in front of them, unprotected, ended up dead. And the gunners themselves were very careful to dig in. Not being fools or romantics, either one. Bad news for the defending team came in the form of tanks. Once the armor got thick enough to resist even the powerful Browning M2 and the engines strong enough to carry the mass of the tanks at speeds greater than 20 mph, the machine gunners had to get more mobile weapons and coordinate with anti-armor infantry, tanks, aircraft, and artillery more often than they had before. People often forget that the original impetus for the “land ironclad” wasn’t crossing trench lines per se. It was destroying defending machine gun nests and getting your own machine guns to where they could support the infantry assault without getting your own machine guns destroyed in the process. Doing that required protection and some way of getting through barbed wire entanglements. The “crawler” was considered a more reasonable alternative than having the HMG team trying to hump their charge through No Man’s land, “leapfrogging” with other teams. “Leapfrogging” worked much better with caterpillar tracks under the HMG and armor around it. Not to mention it having two or three “friends” along for mutual support, just in its own tank. Your first chapter seems to imply that breech loaded QF field artillery with shrapnel ammunition did not work as believed, when in fact it worked “too” well. An artillery duel with such guns was absolute slaughter for everybody involved. The solutions was to pull the guns back out of direct fire range (or at least direct line of sight) and leave direct fire mainly to rifle caliber weapons, which could be better dug-in and concealed from direct observation. Even as field artillery was increasingly used for indirect fire, the need for something bigger than a bullet for direct fire did not vanish, which lead to the development of the 37mm infantry guns and finally gun armed tanks. Quite early it was found out that machine gun (or “female” as they were called) tanks could not take out enemy strong points quickly and effectively enough. I would also like to point out the light artillery pieces up to 90mm did in fact remain primarily horse-drawn for most of WW1. Numerically they were the most important artillery pieces. Entente had more access to mechanization than Central Powers. Even heavier pieces were often towed by horses especially by the Central Powers and Russians. The Germans, Russians, Italians and of course minor powers used horse-drawn artillery even in WW2 due to lack of suitable towing vehicles and in case of Axis powers, limited fuel supply. The 37mm guns can be classified as a “man-portable artillery”. When the Great War go into trench warfare stage the need for man-portable artillery emerges – the 3″ field gun proved by too heavy to easy use in muddy conditions of trench warfare. The 37mm was supposed to fill this role, but also other weapons were developed – most notably mortars (from early 2-inch Medium Mortar nicknamed “Toffee Apple” to Stokes mortar, which is ancestor of almost all modern 81mm mortars). Your blog Weaponsman, has an interesting piece on the history of Minimi type weapons. When you mentioned the “technical” way of working out chamber pressure in relation to bolt thrust the other day, is this then relevant to it: “The PSI gets turned into pounds of force once an area is established. The .45 ACP has more area than a .380 (~1.4 times) resulting in greater forces exerted.” In regards why the .45acp needs to lock were as the .380acp doesn’t, even though they have similar chamber pressures out of interest Kevin? Perhaps there’s some sort of mechanical advantage found between the chamber pressure of .45acp taking into account the area change, that isn’t found in simply operating at a higher pressure minus that area lark. Just wondering why the Pedersen principle wasn’t used in 9mm Luger pistols prior to the R51. The M53 was 1911 type weight, but looking at it, it’s slide might weigh a bit less or be similar. But a 9mm Luger slide in blowback, needs to weigh more than that used in a locked mechanism. Thus perhaps the Pedersen principle works fine, within the limits of the initial impetus imparted on the slide this is achieved by the choice of calibre which maybe is related to the chamber pressure including the difference in area being accounted for in that it is less than a 9mm Luger at that point – Timing like, the bullet may leave the barrel before the M51/53 cycles, but the R51 might cycle prior in which case the pressure is higher on the unsupported part of the case. It doesn’t move far, but the design of the feed ramp leaves this part of the case unsupported also so taken together maybe it’s that which cause the cases to bulge etc – Not that it isn’t locked “it is, but the lock doesn’t work properly type thing” anyway it’s interesting stuff. The Wilson match pistol on this site had a movable feed ramp incorporated into the hammer I think that could enable the chamber to be more encompassing of the cartridge whilst facilitating feeding when using the Pedersen action in different calibres perhaps. I like that gun very ergonomic, that new Steyr has a look of it. Somewhat off topic, but it’s firearms related. Very interesting Pictures. The booster on that 1905 Maxim is Pre 1908. The booster changed very early do to the change in the bullet design. Not that all the guns were upgraded very quickly. I have seen tons of these booster, even those ground dug out of the WWI battlefields. I know of no surviving example of this early 1908 booster. From Wiki: The 7.62×54mmR originally had a 13.7 g (210 grain) “Jager” round-nosed full metal jacket (FMJ) bullet. Due to experiences in the Russo-Japanese War, the projectile was replaced in 1908 by the “L” 9.5 grams (147 gr) spitzer bullet, which basic design has remained standard to the present. The greater muzzle velocity was bigger not only due to lighter bullet but also bigger powder charge (3,25g instead of 2,35g), the powder was also different from that used in original cartridge – Fyodorov (Эволюция стрелкового оружия, vol.2, page 155) states that 0.5% Diphenylamine was used instead of 2% Amyl alcohol was used to production of powder. The new powder was also produced more carefully. Older cartridge has maximum pressure of 2900 atmospheres, when new has 3200 atmospheres. So, as you can seen, increasing of pressure in military cartridge has long history.